Initially formed to bring economic development leaders together, the Economic Development Association of Alabama (EDAA) has become astrong voice in the passing of legislation that has impacted the economic growth of Alabama. EDAA’s legislative efforts have led to businesses such as Mercedes Benz, Boeing, Honda, Toyota, Hyundai and others choosingAlabama. Additionally, EDAA has successfully defended enacted statutes, protecting the rights of individual economic development associations in Alabama. The advancement of meaningful economic development legislation has been a priority of EDAA since its inception. 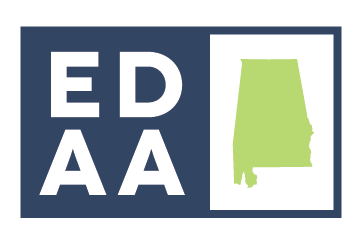 EDAA has supported legislation pertaining to sustainable statutory incentives, adequate funding of state agencies and departments affiliated with economic development, and “project specific” legislation necessary to recruit or retain companies considering investment in Alabama. The strength of EDAA’s legislative efforts resides with the membership. It is the “grassroots” relationships that economic developers have with local and state officials that afford us the opportunity to be effective in putting forward and aggressive legislative agenda. EDAA is committed to making a difference in the 2018 session of the Alabama Legislature. Reasonable incentive legislation is necessary if Alabama is to once again consistently compete for economic development projects. EDAA’s legislative committee is anxious to aid in the advancement of legislation that will ensure Alabama’s position as a prime location for companies considering investment in Alabama and those valuable companies seeking to expand their Alabama operations.